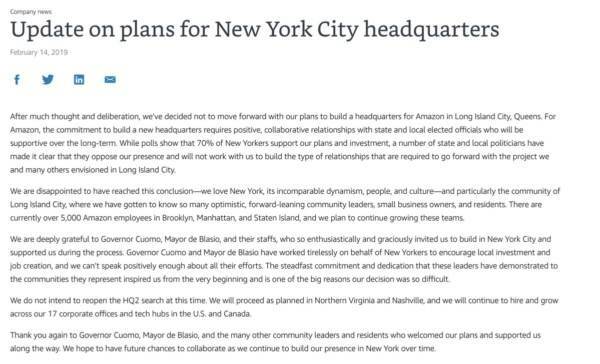 Amazon announced on Thursday they are cancelling plans to build a headquarters in New York City. 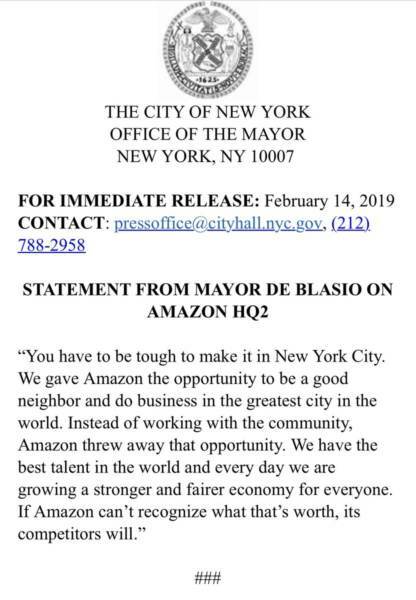 Amazon blamed local politicians for the decision to nix their plans in New York City. 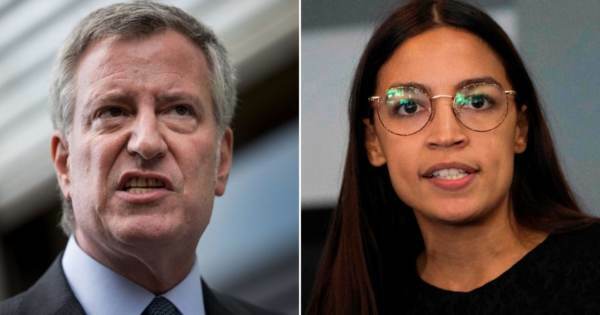 Socialist Rep. Ocasio Cortez cheered the loss of 120,000 high paying jobs in her community. Communist Mayor Bill di Blasio also cheered the news. Amazon had promised 125,000 jobs with the project including 25,000 high-paying jobs. The Socialists cheered the decision today.